NLSS has been one of the most ambitious security / surveillance startups. After selling his last startup, Sypixx, to Cisco, Pete Jankowski founded NLSS, marketing it as the "Next Level in Video Management", combining access control, video analytics, cloud management, etc. However, NLSS has been challenged to gain wide spread adoption. 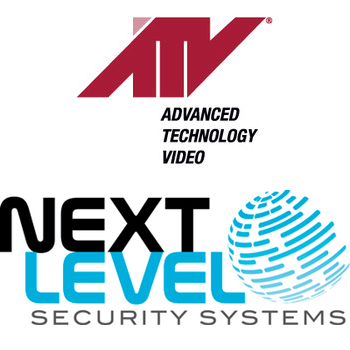 Recently, NLSS has begun a partnership with ATV, in an atypical move that is intended to leverage strengths of both companies. IPVM spoke with ATV executives and NLSS' founder/CEO about this partnership, and how the two companies are going to market. In this report we analyze the ATV/NLSS partnership. ******* **** *** ** *** **** ********* ******** / ************ startups. ***** ******* *** **** *******, ******, ** *****,**** **************** ****, ********* ** ** *** "**** ***** ** ***** Management", ********* ****** *******, ***** *********, ***** **********, ***. *******, **** *** **** ********** ** **** **** ****** ********. ********, **** *** ***** * *********** *******, ** ** ******** **** **** ** ******** ** ******** strengths ** **** *********. **** ***** **** *** ********** *** ****' *******/*** ***** **** partnership, *** *** *** *** ********* *** ***** ** ******. In **** ****** ** ******* *** ***/**** ***********. ******** ********** ***** ******* ** ****, *** *** ***** ***** for ******** * **** ** ****** ***** *********, ****** *********, cameras, *** ******* ********. ** *** ******** ******* ** ** video, *** ***** ******** ** ******* *** ********* ***** **** suppliers, ********* ** *****. **** **** ******** ****** **** ******** more ** ************ **** *************, *** *** ******** ** **** to *** ****** ****** ***** **************** *********. **** *** ****** ** **** ****** *********, * ***** ***** ****** *** ******** *******, ****** ** *****. **** ******** ***-**-*** ********** ******* **** ******* ************ ** VMS, ****** *******, *** ********* ** * ******-****** **** ******, intended ** ** **** ** ****** *** ***. *** *** ****** ****'* ***** *** ********* **********, ***** **** ********* * ***** ***** ** ***********/******* ******. According ** ***, *** **** ******* ***** *** **** ********, offering * ******** ******** **** **** ******** ************ **** *** embedded ********* **** **** ****. **** *** **** ** ****** their ********, ** ******* **** ***** *** ***** *** ********* groups ** *** **** ***** ********* ****. ********* ** ****, *** *********** ** ***-*********, *** *** ******* is ********** ** ******* ******* ********** **** ***** ************ ***'* interested ** *** **** ********. **** *** **** ***** **** of ***** *** ***** ****** **** ** **** **** ** demand ********. ****' *** **** **** ** *** *** **** *** ******* of *** ******* ** ** ** *** ** ***** ********* and **** **** ** *********** *** **** ********* ****** ** was ****** **** ***********. *** *** **** *****, **** ********* *** ******* *** *** to *** *********** ** ****. ** ** ******** ** ******* business ********* ** *** ******** ********, ** *** ** * company,**** ************, ********** * **** ******** ********** ******. **** *** ********* ** **** ********** **********, *** ***** **** partnership ***** **** *** ******* *****, ** **** *** **** customers ********** ** * ****** ****** *** *** *******. ******* on *** *** *********** ***** **** ********* *** ****** ************ / **** *** ** **** ***** **** *********** ** ******* top ****** ** ******* *** ******** *** ******** *******. **** *** ********* ** ** *** ***** ** **** *** trends (*****, *** ******* *********, ********** '********') *** ** **** need **** ******* *********** *** **** *********** ***** *** ********* effort ** **** * **** ** ****** * ***** ******** impact. ****** ******* ** *** being ***** ** *** details, ** *** ***** ago *** * **** to ****** ******* *********** but ** ***** ********** a *** ***** *** with **** *** *** very ****. **** **** I *** ********, ** biggest ********* *** ***** weak *********** (********, *******) methodology. * ***** ** was ******* ****-**** *****. Hopefully **** **** ********* this ** *** *** or ******* **** ***** chime ** *** ****** this? ******: **** ****** ******* my ***** **** **** 2013, *** ***** **** support ** **** ****, transactions ("****") *** **** stored *** ** **** max.